The Scream TV series, premiering this June on MTV, could be an absolute failure. There are a lot of ways it could not work. This isn’t really a secret and, in regards to the show, it’s all anyone seems to want to talk about. But at the same time, there are ways where it could really shine. Considering that’s not something people are really looking at—or looking for, at least—it definitely warrants discussion. Scream has always been about keeping up with the current state of horror. That was what was so exciting about Scream 4, and I think why it ultimately worked. There was very much a focus there on “how has horror changed?” The state of horror in 2011 is very different than it was in 1996. So much had changed that part of the fun was focusing on what the characters would be referencing and what the script would be deconstructing. There are always new conventions to play with and Scream has always been about keeping those surprises and unraveling new mysteries on multiple levels. But here’s the thing: the current state of horror cinema in 2015 is in upheaval. Found footage is going away (hopefully), remakes are slowly fizzling. There’s no straight-to-video anymore. The Walking Dead is as big as ever and yet zombies are fizzling out everywhere else. Slashers did not see the resurgence that everyone was hoping they would. Horror movies are figuring themselves out right now, filmmakers are figuring out whatever the next phase will be. Right now, horror is on TV. Dracula, Hannibal, Rosemary’s Baby, Psycho, The Omen, and so many more classic horror stories being (or have already been) reimagined for television. Plus original productions like American Horror Story and The Walking Dead have won over the mainstream audience big time. If you want to comment on the current state of horror, you’ll be commenting on TV. And the most natural way to do that would be with a television series. If Scream is going to continue, it needs to be on the small screen, at least for right now. Nothing else would really make sense. Then, of course, there’s the problem of how to handle the killer. Scream is known for its surprising reveals of the killer’s identity at the end of each movie. But they’re not going to have a surprise killer in every episode. Instead, it would be interesting to play with that and develop it out over the course of a full season. Now we’ll be kept guessing every single week as to who the killer might be. This also easily helps set the show up for multiple seasons. Of course, the main problem with Scream: The Series that everyone wants to talk about is the lack of Ghostface. Now, keep in mind that this isn’t like doing a Nightmare on Elm Street movie without Freddy. This is a costume. Yes, it’s an iconic costume. I’d be lying if I said I didn’t want to see it. But as long as there’s a killer, and he’s making phone calls and tormenting his victims, as long as the series is self-aware of the genre and what it’s doing, that’s all Scream to me. All of that is already showcased in the trailer. You can’t fault the show for not using the exact same mask. But from the glimpses of the killer’s look, they’re going pretty close to what we are used to. A slightly different look for the killer will help the series stand on its own, which is what it should be doing. It isn’t Scream 5 and it shouldn’t feel like it’s trying to be. 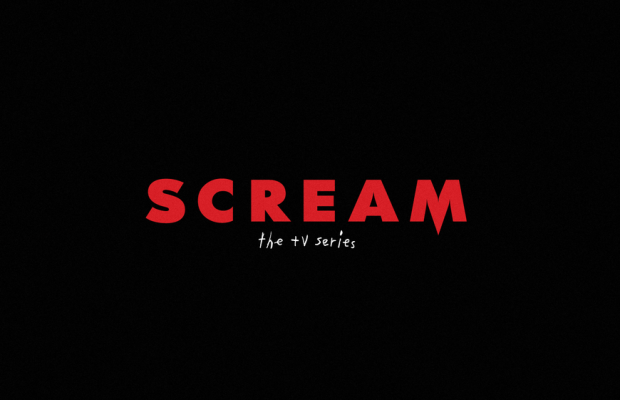 Like anything, Scream: The Series could either be a surprise success or a massive flop. It’s impossible to tell at this point which way it’s going to go. But instead of only focusing on the things that could go wrong, there should at least be some acknowledgement of the things that could go right.